I don't know about you, but my hair drastically affects my mood. A good hair day can mean I have the best day ever ... while a bad hair day means, well, watch out. I've had my share of both good and bad hair days in recent years, mainly due to my most recent haircut. And I've seen quite a few bad haircuts in the past few years! Thankfully, my days of bad hair are behind me ... because, as of two weeks ago, I've discovered the fabulous Matt Fugate at Sally Hershberger Downtown. 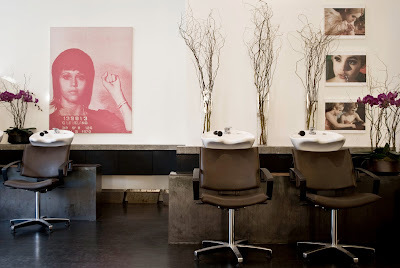 I loved Sally Hershberger Downtown from the moment I stepped through the door. The salon is homey and comforting, with big oversized leather armchairs at the washing stations and basins that don't hurt your head when you lean back. Everyone at the salon is unbelievably friendly and welcoming -- I don't know if I've ever received so many smiles and "hello's" as I did the day I came in for my appointment! Now, truth be told, multiple people had recommended Matt to me over the years. It seems every beauty girl in the know has had him cut her hair -- and, really, I'd been urged to visit him for at least four years! It's just so difficult for me to trust a new person with my (difficult, hard to manage, thick, coarse, crazy) hair that I was hesitant for far too long. Well, Matt put me at ease the moment we met. We'd been corresponding on Twitter for awhile (follow him here! ), so he greeted me with a hug and sat me down for a chat about my hair -- how it was, how I wanted it to be, the whole nine yards. I appreciated that he really took the time to get to know my hair and what I was going for, and that he really listened to what I wanted. After our consultation, Matt and I decided on a blunt cut that would even up the strange choppy layers I'd been living with for the past few months. Matt really didn't plan on taking off too much -- just an inch or so -- but he assured me that, combined with a little thinning out where necessary, the cut would transform my hair. After my hair was washed, Matt got down to business. He trimmed precisely and assuredly, all the while chatting with me about everything under the sun. (This was a welcome change from many other high end salons I've been to throughout the years, where the stylists refuse to exchange pleasantries and just end up making me feel uncomfortable.) Matt really took his time and kept checking to make sure every piece was even, which I definitely appreciated. Getting a blowout by three people at the same time. So amazing! And then came the piece de resistance ... the blowout! Matt enlisted the help of two assistants, creating the image you see above -- my first time EVER getting a blowout from three people at once! It made me feel special and like a celebrity of sorts, which was just a lovely way to start my morning. Matt and his two assistants expertly blew out my hair, creating a bit of body without hiding the cut (a huge pet peeve of mine -- I want to see how my hair actually looks, instead of it being hidden until I wash it myself!). At the end, I was left with a cut that was even, healthy and beautiful -- and that has been making me feel my absolute best ever since. Post haircut. Look at those gorgeous blunt ends! All I can do since getting this haircut by Matt is smile! Matt is just an absolute genius. Now that I've found him, I certainly won't hesitate to have him cut my hair in the future! A haircut with Matt is $200. 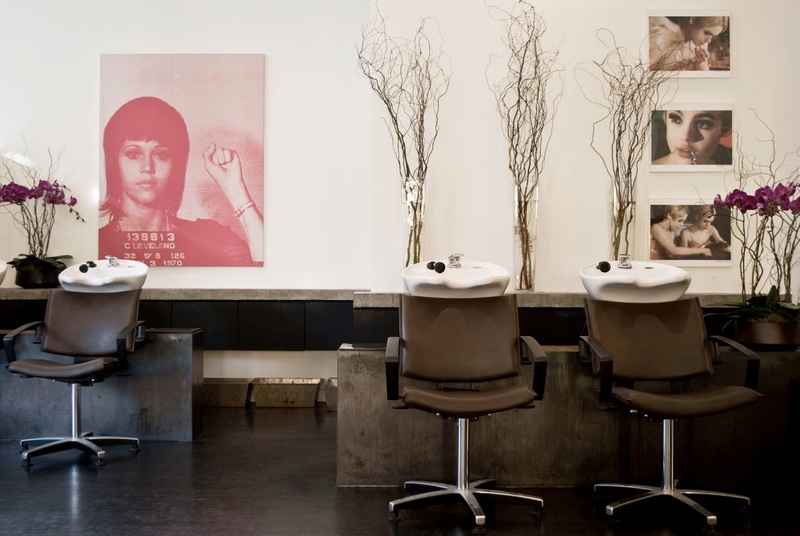 For more information about Sally Hershberger Downtown, visit sallyhershberger.com.